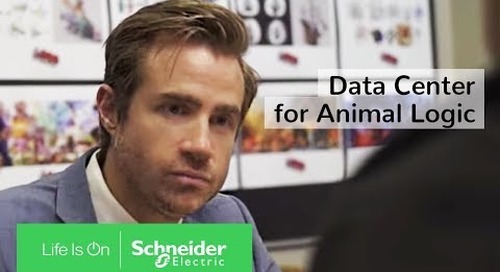 Steve Carlini is Senior Director of Data Center Global Solutions and Soeren Jensen is Vice President of Software and Managed Services for Schneider Electric. 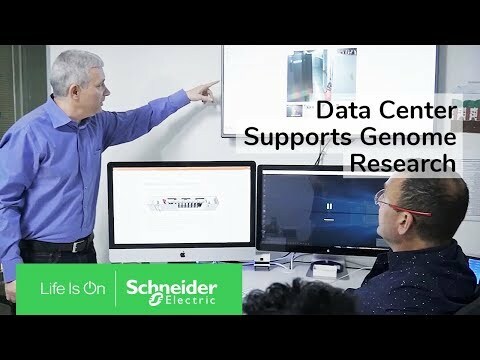 Data center operators are under more pressure than ever to provide the fastest, most reliable data possible while balancing demands for higher computing power and efficiency. 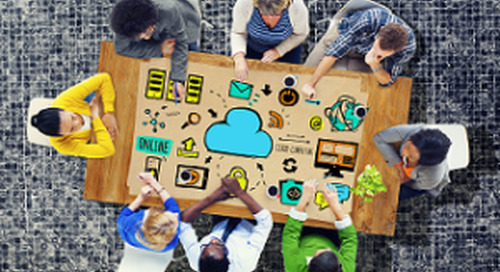 Meanwhile, their use of virtualization, cloud architectures, and security techniques, as well as software-defined networking and storage has given rise to increasingly complex environments. Given this already challenging environment, the term “future-proofing” is often chalked up to vendor-speak, meant to scare customers into buying oversized equipment for just-in-case scenarios that may actually never happen. However, future-proofing, or the attempt to anticipate future demands, is an important element to data center management and planning. 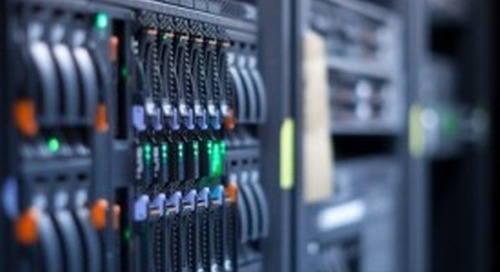 New IT devices are coming to market with unforeseen capabilities at record volume and pace, using more and more data, making it seemingly impossible to anticipate what the future will bring and how it will affect the data center. 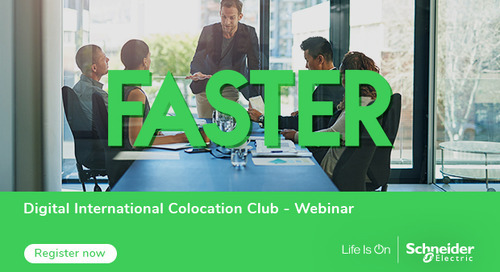 There are ways to future-proof the data center without having to make costly investments, while still ensuring that IT infrastructure can adapt and change over time to meet evolving business needs – even in a rapidly changing, unpredictable landscape. 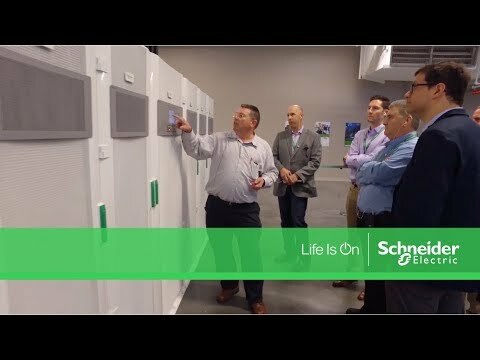 This allows data centers to meet evolving company needs, future technologies and the new environmental factors, while extending the service life of existing infrastructure. 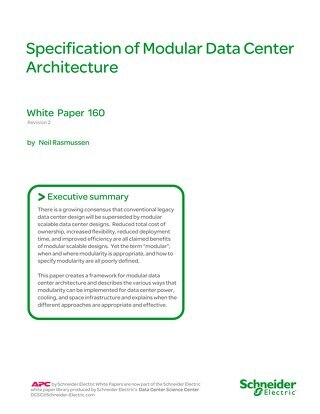 In January 2014, we looked at the reasons why prefabricated, modular data center infrastructure can help owners and operators meet challenges related to traditional data center builds, such as having too many parties involved, the complexity of long-duration builds, quality and cost inconsistencies and incompatibility of equipment. 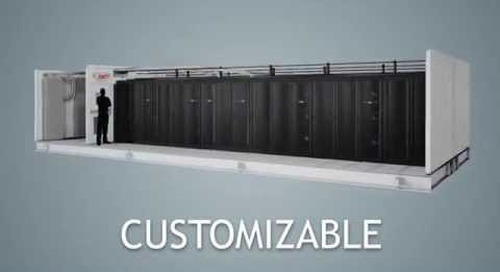 However, the biggest advantage of prefabricated, modular data center infrastructure in terms of future-proofing are closely tied to its ability to easily scale up or down capacity. 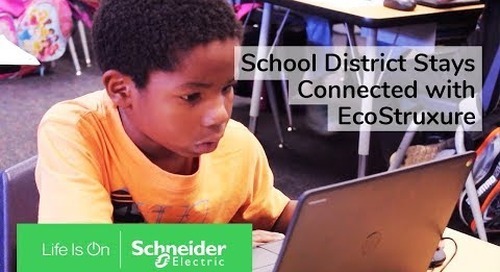 Not only does this reduce both upfront capital and ongoing operational expenses (CAPEX and OPEX), but owners and operators can quickly add power and cooling capacity to meet increasing demands and actual business needs. 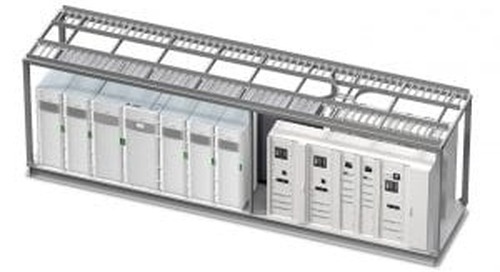 This is compared to the traditional method of installing the power and cooling infrastructure as part of the data center building and sizing the facilities according to potential maximum future needs – an almost impossible (and costly) task that uses up valuable real estate, increases utility bills and decreases efficiency – without truly guaranteeing that estimates will ever match actual requirements. 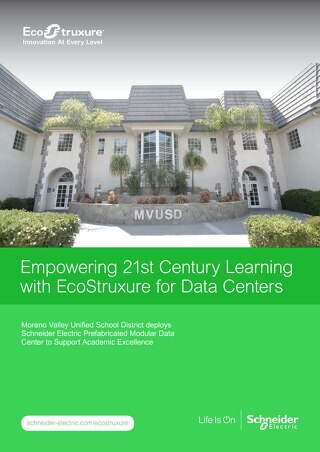 What if facility power, power distribution, cooling and IT physical infrastructure were not built into the building, but instead were prefabricated building blocks that could be deployed and changed as needed throughout the life cycle of the data center? 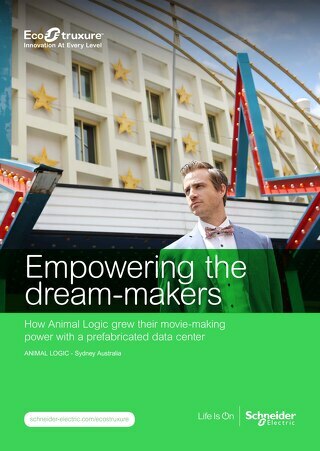 Owners and operators could deploy prefabricated IT building blocks and raise density or availability levels by adding extra matching power and cooling building blocks, or, in the future, even swap out AC-powered prefabricated building blocks to DC-powered prefabricated building blocks, which could possibly be the standard in the future. 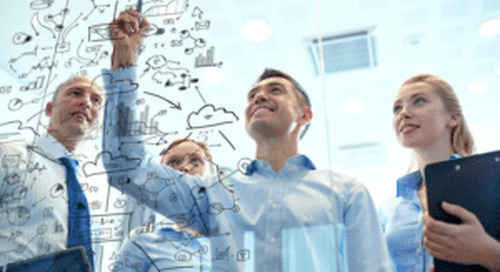 Intelligent, informed data center planning with an eye toward future needs can help owners and operators avoid being caught off-guard by unanticipated changes within the IT environment or changing business landscapes. 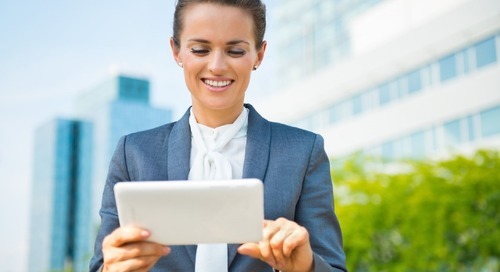 Planning is most effective when decisions are informed by past and real-time data collected from IT and facility systems, which provides actionable insight from the data collected via DCIM solutions. The ability to use DCIM data as a benchmarking tool in the planning process is perhaps the most effective method for preparing for future data center needs. 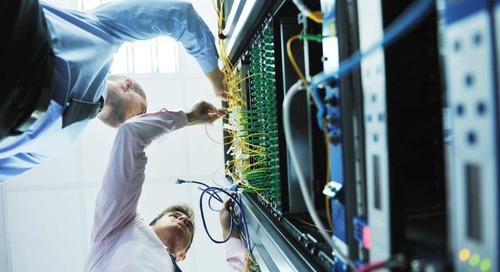 This is because DCIM solutions can aggregate data collected from both the physical building structure and IT equipment within the facility – from the building down to the server level – not only bridging the all-too-common gap between facilities and IT, but also allowing owners and operators to identify trends, develop action plans and prepare for potential problems or needs down the line. 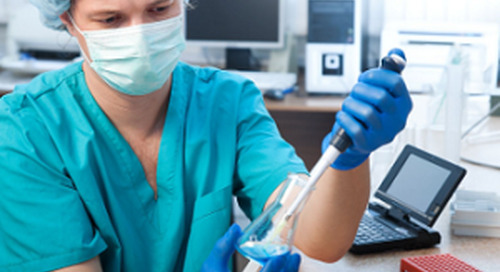 DCIM solutions also show how adding, moving or changing physical equipment can affect operations, thereby providing accurate insight for common planning questions and optimizing existing infrastructure capacities. 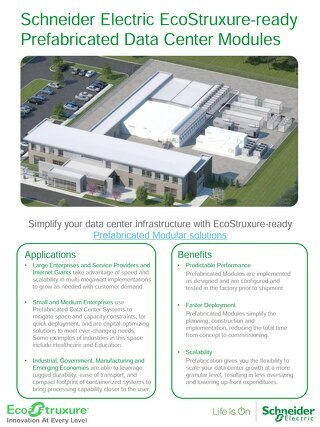 By increasing data center flexibility through prefabricated, modular data center infrastructure and DCIM software, data center operators can transition their facility from a cost center to a business driver enabling organizations to better mitigate risk and prepare for the future. 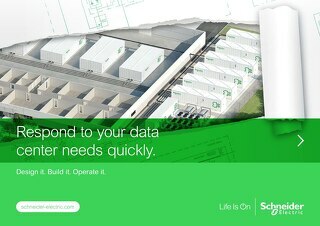 A short video detailing the benefits of Prefabricated Data Centers.